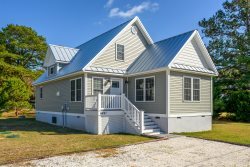 Beach Blessing - A Remarkable New Chincoteague Vacation Home is ready for YOU! Have it all at Mariner's Watch 104! Stunning Captiva Bay 101 - Living the good life in OCMD! Ponte Vista 410 - A Stunning Bayfront featuring the Best Sunsets in OCMD!